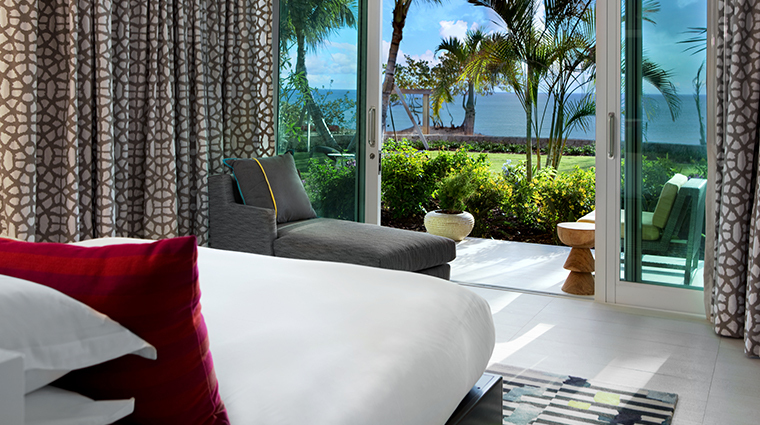 Walking into Kimpton Seafire Resort & Spa, you’re immediately struck by stunning, panoramic ocean views and a canopy of palm trees as far as the eye can see. 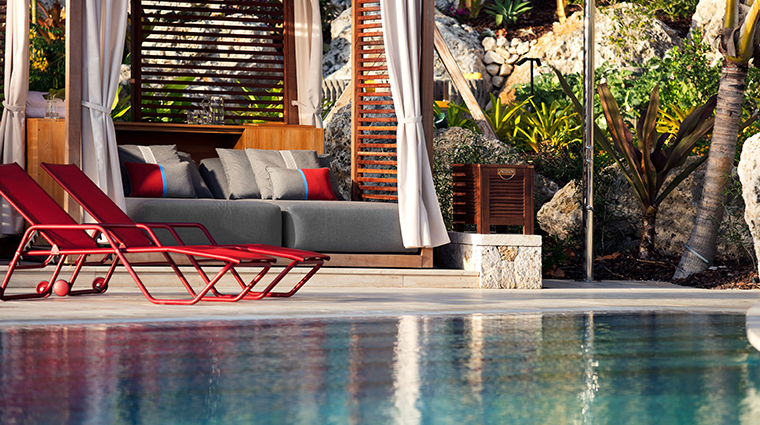 In an instant, you know you’ve found paradise and it comes with all the modern comforts you could dream of. 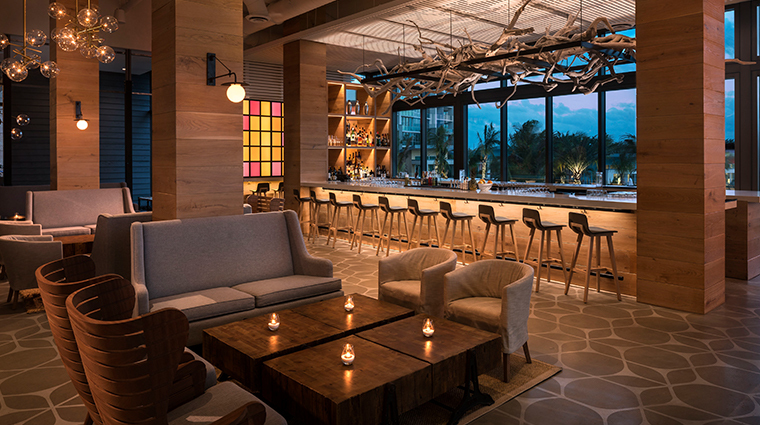 From the incredibly welcoming staff to thoughtful touches like a personal card and gift in your room, morning coffee and tea on the house and the sanity-saving kids camp, the Kimpton Seafire makes you feel at home. 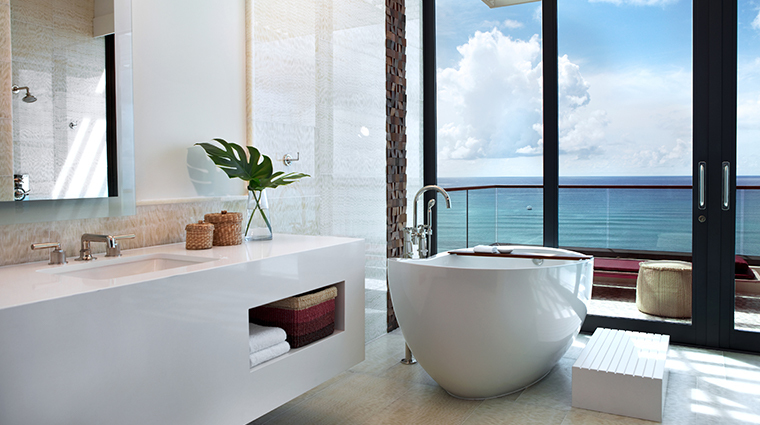 The relaxed elegance of the resort caters to all occasions, be it morning yoga and a dip in the crystal-clear ocean, a margarita and some fresh ceviche on the beach at Coccoloba or an evening of fine dining at the chef’s table at Avecita, curated by executive chef Massimo De Francesa. 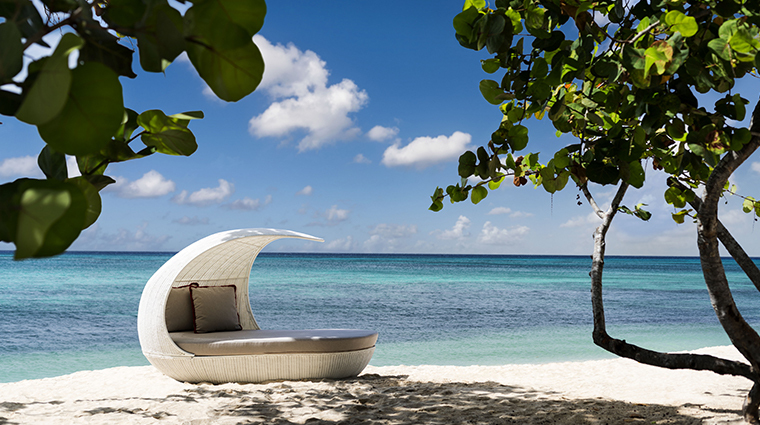 The Kimpton Seafire showcases the charm of Caribbean life in one of the most stunning settings on Grand Cayman’s Seven Mile Beach. One of the hotel’s strongest assets is its service. Staff members are professional without being stuffy, friendly and very down to earth — it’s no surprise that the property is also pet-friendly. 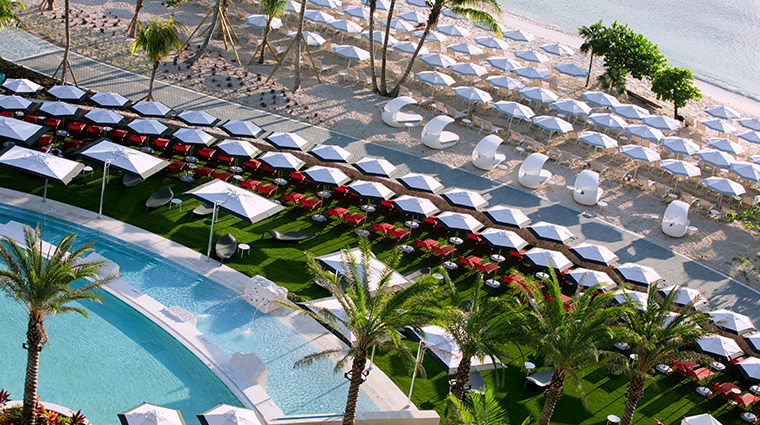 As one of the only Seven Mile Beach hotels set back from the sand, the outdoor feel is spacious and not overcrowded. 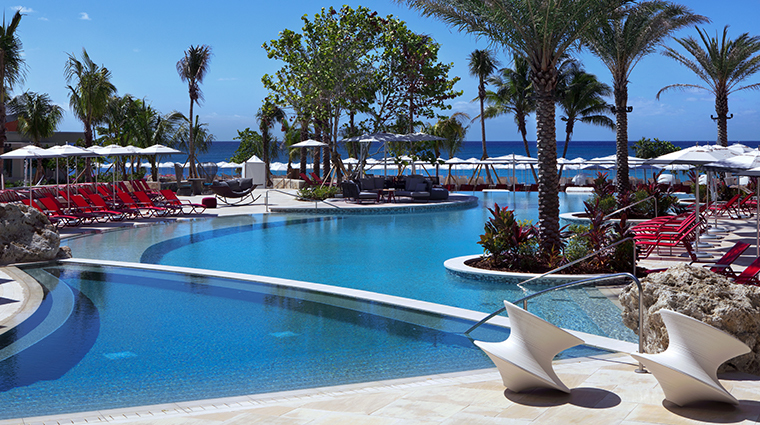 From the pool area all the way to the beach, there are plenty of lounge chairs and private cabanas that allow you to be as social as you’d like on your Caribbean vacation. Lots of thought and attention went into the unique design of this luxury hotel — it’s an Instagrammer’s dream. 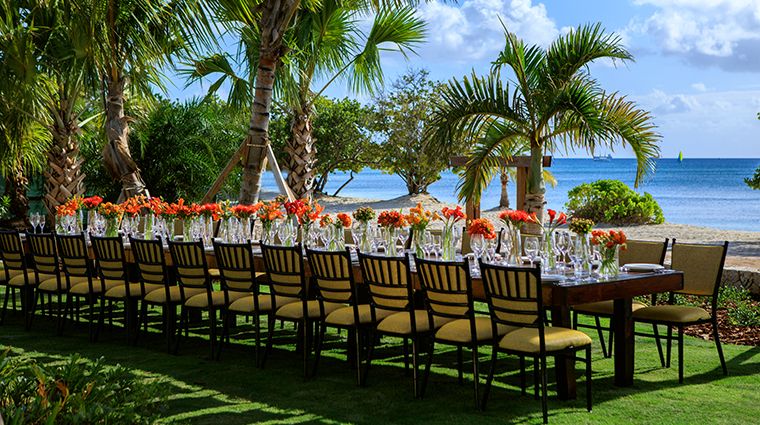 The lush landscaping provides many areas to soak up the sun and enjoy a cocktail, while the interior boasts a traditional Cayman catboat suspended from the ceiling, chairs inspired by the Cayman Islands’ flag, vintage framed photos and bespoke local artwork showcased throughout the property. There is an array of activities for the little and not-so-little ones to enjoy at this family-friendly resort, including a pool table, tennis table, board games, a fitness center, a library, water sport rentals and even live music at Calicos, the nearby beach bar, for those of age. 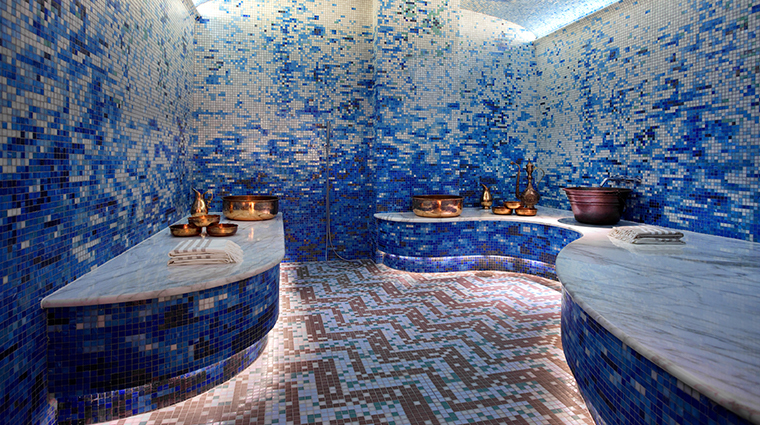 Take a break from the tropical sun with an afternoon of island-style pampering at The Spa at Seafire. 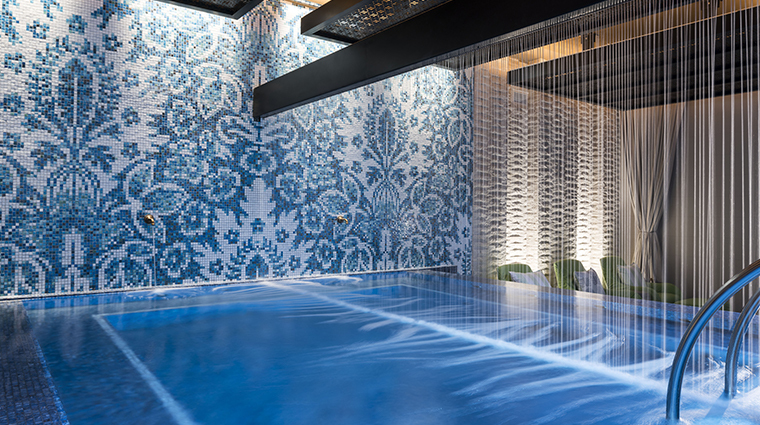 This 8,500-square-foot retreat brings the natural beauty of Seven Mile Beach indoors with its blue mosaic-tiled grand soaking tub and botanical-infused treatments. The Kimpton Seafire is at the most northern end of Seven Mile Beach, so renting a car would be worthwhile during your stay. There are irregular bus services running from just outside the Grand Cayman hotel to West Bay and George Town, and taxis are readily available, although they are generally considered to be overpriced. No trip to Cayman is complete without a kiss from a stingray on a boat charter to world-famous Stingray City. Be sure to go early or late in the day to avoid the cruise ship passengers and have the Sand Bar entirely to yourself. 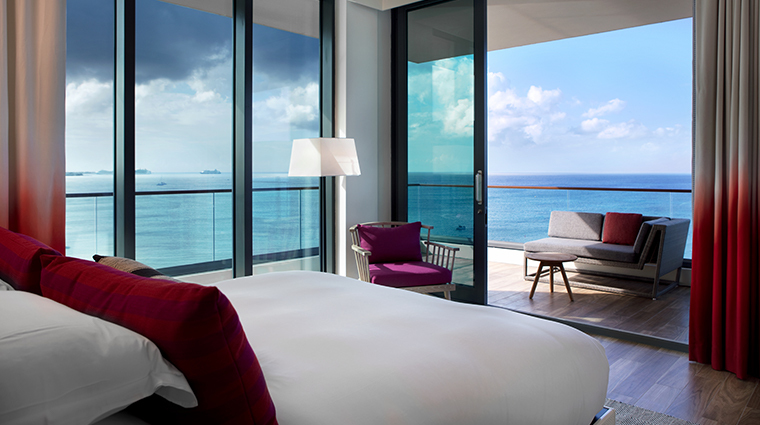 The best rooms face west, allowing you to take full advantage of the incredible sunsets from your balcony, while rooms facing north have the least desirable view of staff parking and limited sea vistas. The calm Cayman waters are great for paddle boarding and snorkeling — you might be lucky enough to spot a stingray or a turtle, especially if you head up to Cemetery Beach. For the speedsters, there’s also jet skiing, jet-packing and boating available directly from the sand with Red Sail Sports, a well-respected local water sports company operating in partnership with the luxury hotel. 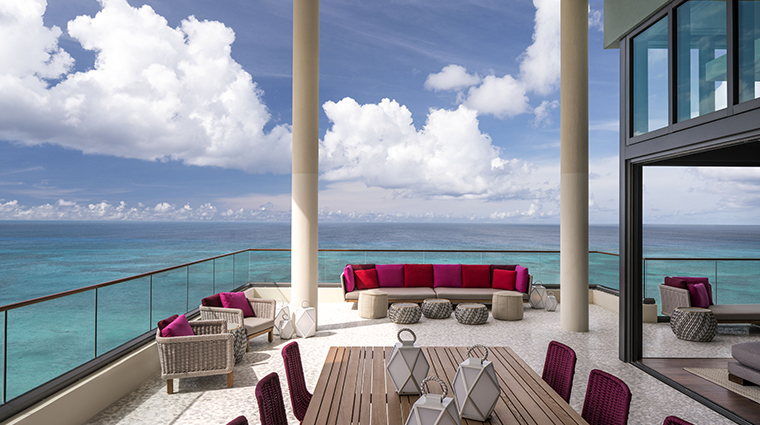 The majority of the resort’s 266 rooms and suites feature sublime ocean views through floor-to-ceiling windows. 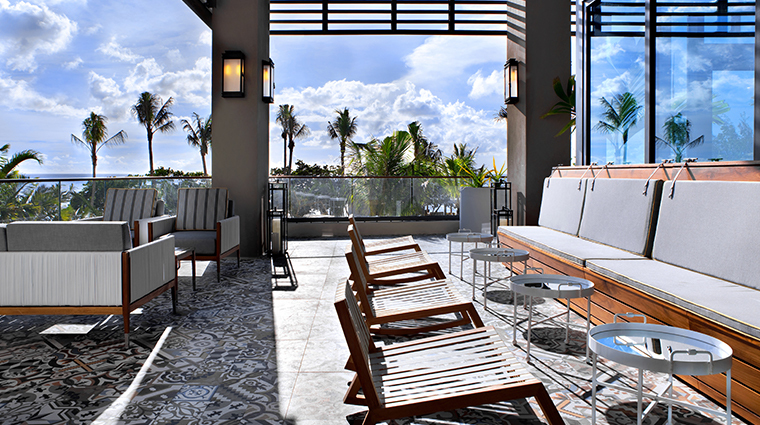 Enjoy those stunning island sunsets from the comfort of your own private balcony — every room has one. 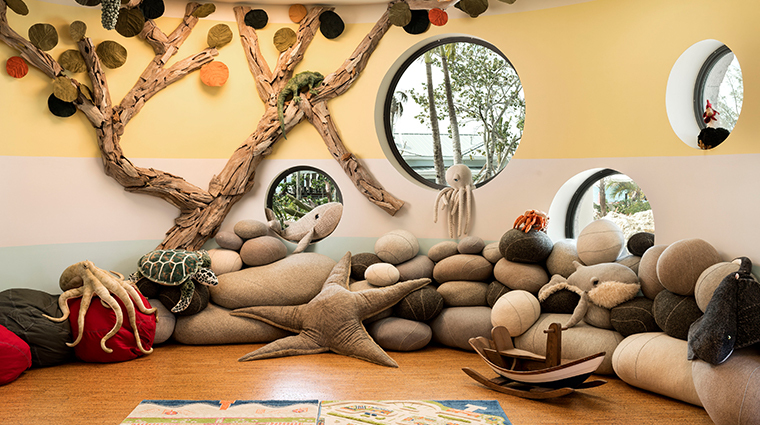 The rooms are beautiful, spacious and well-designed with a neutral color palette accented by pops of bright color. Some accommodations at this family-friendly hotel even have a versatile living-room-sofa-turned-bunk-bed. The Frette-linen-dressed beds are comfortable, the curtains block out the sun when needed and you won’t want to leave the free-standing tub. The décor and smart design of the rooms will have you relaxed and feeling at home in no time. 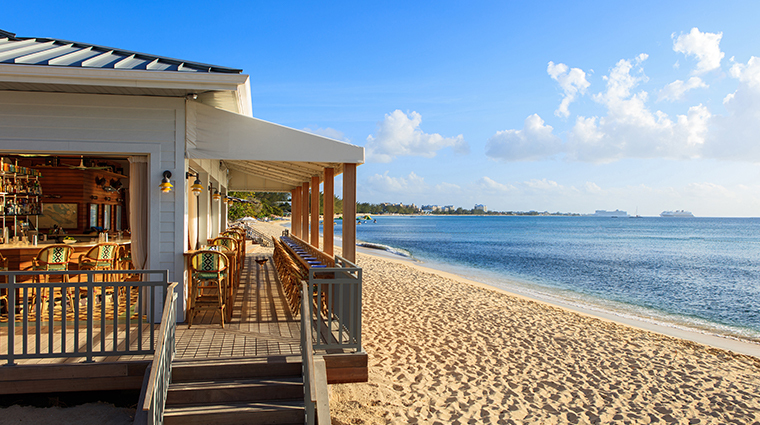 For the ultimate in privacy, opt for one of the resort’s three beachfront bungalows. 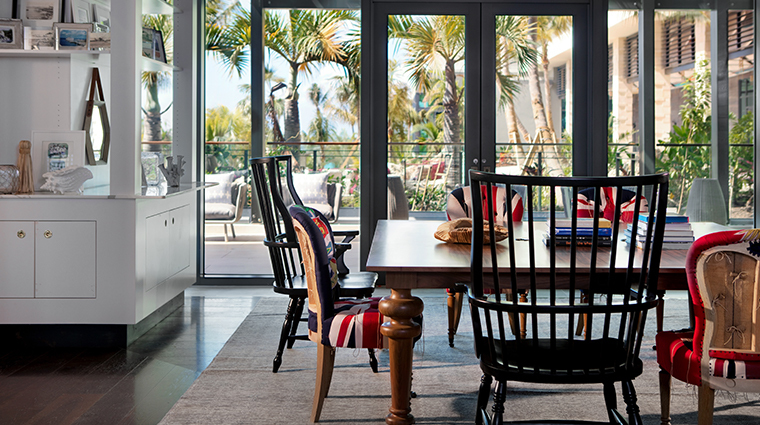 Perfect for families, these serene spaces offer full kitchens, furnished private patios and direct access to the hotel's scenic stretch of sand. 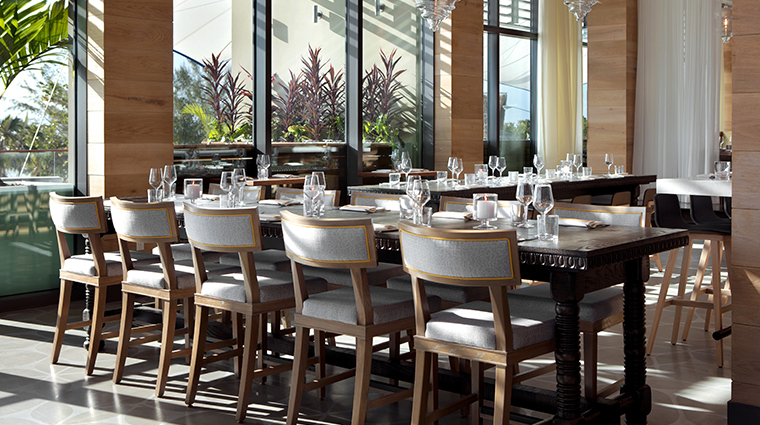 The crown jewel of the Kimpton Seafire’s abundant dining scene is Ave, a stylish spot serving up coastal Mediterranean cuisine using the island's freshest catch. 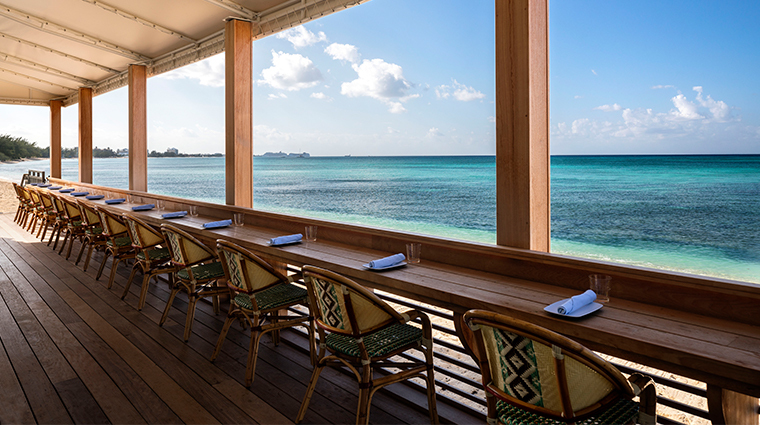 Be sure to indulge in the restaurant’s alfresco Sunday brunch — try the banana nut waffle with butterscotch caramel, or go for spice with the jerk chicken and waffle with mango-pepper salsa. Coccoloba makes for a scenic island lunch right on the beach. 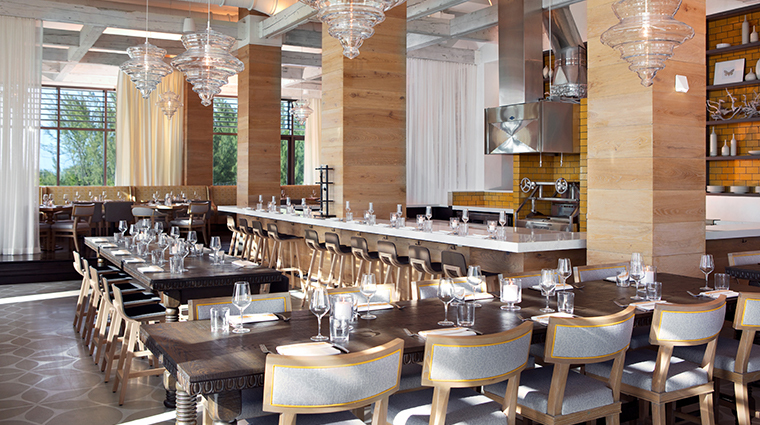 Be sure to try the fresh ceviche, spicy crab dip and elote (corn) salad along with a tasty ice-cold cocktail like the Shivering Burro, the restaurant’s take on a frozen Moscow Mule. Be sure to partake in the complimentary morning coffee and free wine-fueled happy hour served every day in the library at the Cayman Island hotel. The Pantry coffee shop has deliciously cold kombucha on tap to balance out its incredible cronuts. Go early, as these indulgent bites sell out fast.